The highly anticipated BBL host reward is currently on and one benefit of having a second BBL is switching bowls instead of washing your bowl mid-recipe. As handy as that is you will still have to wash your bowl/s in the end. I know, no one likes washing up! Now, if you’re finished creating meals then you can just pop your bowl/s in the dishwasher. 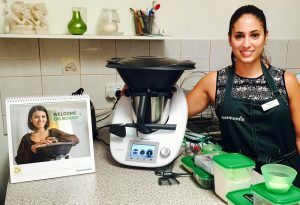 Remember, all Thermomix accessories (except for the base unit and recipe chips of course) are dishwasher safe. But you can also just do the self clean and then give it a rinse. So if you have one bowl or two, these are a few ways you can keep your Thermomix Bowl, Blade and Lid nice and clean.